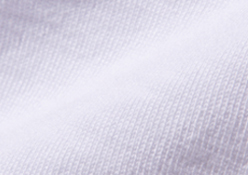 Flexibility and stretch-ability, yet it uses heavyweight sheeting material with moderate elasticity. 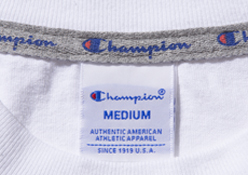 Around the neck is a rib design and clear design. 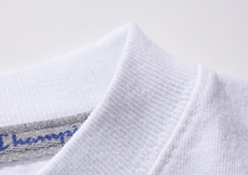 Contributing to utility as a fashion item. Adopted battlefield Tatakitagu, which has been applied to various game shirts Champion has worked on such as basket jersey and hockey shirt. 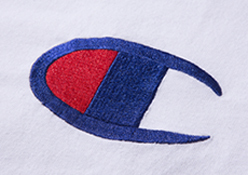 Embroidered in the big size of the left chest the C logo which is an icon symbolizing the brand. 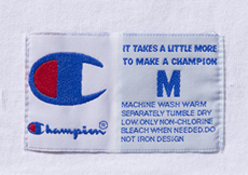 Among the tag designs of Champion, the most popularly used tricolor tag. Design point with the name-added heavy tape also arranged in the neck. 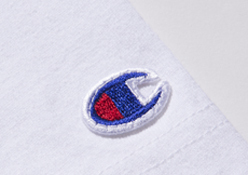 C logo patch which is a symbol of Champion on the left sleeve.